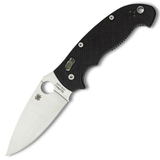 Spyderco is a knife company renowned for innovation. It started with their easy-to-use Sharpmaker, and then continued with the development of the iconic Worker model folding knife, the first knife to sport the now-famous Spyder Hole. 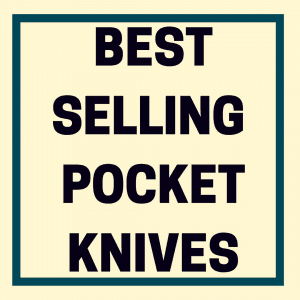 That was in 1981; in the intervening 34 years, Spyderco continued to solidify its reputation as an innovator in the cutlery industry, with a string of knives that, along with many wonderful contributions from other excellent companies, gave definition to what we now think of as the modern pocket knife. But innovation is only half of the story. 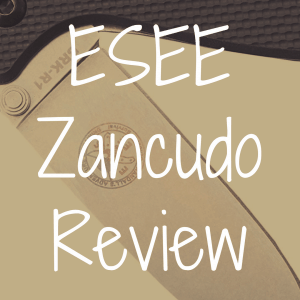 Spyderco also espouses a philosophy of CQI, or Constant Quality Improvement; not only do they make innovative knives, but they are committed to refining those initial designs, sometimes for years and years, after the initial release. I would posit that this process of refinement is the definitive characteristic of the modern Spyderco, and that no knife better exemplifies the benefits of that process than the Spyderco Paramilitary 2. 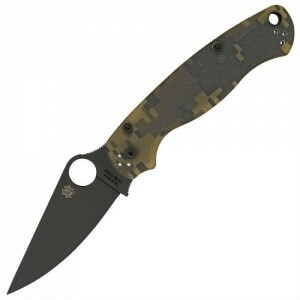 The original Paramilitary was released in 2004, and was itself an iteration of the Spyderco Military, a large tactical folder. The Military had (and has) its fans, but there was a large contingent of folks who, though they admired the ruggedness, great handle, and useful blade shape, wanted something more pocketable. Thus the Paramilitary was born. It was marketed as a folding Spyderco survival knife; it was a good knife, but there was definitely room for improvement. For example, the rear tang of the knife was exposed. The clip, which you could not reposition, left much of the knife (nearly an inch) sticking out of your pocket, and the blade was significantly smaller, making it similar to knives like the Delica or the Calypso Jr. (here is a page about the Caly Jr., from Spydercollector, the undisputed authority on Spyderco knives) without much to differentiate it from those excellent knives except the Compression Lock and G10 scales instead of FRN. In short, the knife was an exciting proposition, but just not quite where it needed to be. In 2010, the Paramilitary 2 released, to universal acclaim and universal scarcity, both of which have persisted to this day. The handle was drawn out, the blade length extended to 3.4”, the clip made 4-way positionable, and the tang was smoothed out, so that it mated with the handle when closed, both preventing lint and debris from interfering with the lockup and making the knife thinner in the pocket. In short, it was a revision that brought all the good to the fore, and eliminated the bad. The Paramilitary is a master class in product design and a knife that should be in everybody’s collection. If there is one thing the Paramilitary 2 does better than any other pocket knife, it is ergonomics. The handle is 4.8” long, with a forward choil and no scalloping or grooves; this offers the user a variety of useful, comfortable grips. Compare it to a stable mate, the Delica 4: the Delica 4’s handle is scalloped at the lower end to indicate where your fingers should be when you hold it. This may seem ergonomic, but in reality it isn’t, not only because everybody’s hands are differently-sized and may not align with those finger grooves, but because it essentially gives you only one way to hold the knife, and different tasks call for different grips; you can’t choke up on the Delica 4 for detail work, for instance, but you can on the Paramilitary 2, and so, despite being a larger, heavier knife, it actually performs better for delicate tasks. The scales are a no-nonsense G10, and while I won’t say they are superior to the FRN scales of the Delica 4 or the Benchmade Griptilian (another knife the PM2 is often compared to), they are as good, and I prefer them if only because they are easier to clean; the FRN scales of the Delica and the Griptilian derive their grippiness from aggressive, dramatic, textured patterns, and those patterns tend to collect dirt and lint easier than the G10 of the PM2. The blade shape of the Paramilitary line is its most obvious inheritance from the Spyderco Military. Its two defining characteristics are the pronounced belly and precise point; this gives you a knife that penetrates material easily and moves through it like a laser beam. To draw the comparison again, the Delica 4 has an almost-sheepsfoot style blade, so its ability to penetrate is less than stellar, and its belly is less dramatic. The Griptilian comes in a few different blade shapes: the 550, the model that sports an opening hole like the PM2, has a blade shape very similar to the Delica 4, and though larger it doesn’t perform much different than that knife. You can also get the Grip in a drop point or tanto configuration; the tanto, a design made for tactical use, pierces comparably well, but fails utterly as a slicer, and the drop point, a solid performer, doesn’t move through material as easily thanks to the faceted grind used to develop its swedge; the PM2 is full flat ground, meaning that it moves through material effortlessly, and won’t get caught up as the blade thickens out more gradually. The stock PM2 comes with a blade made of S30V, a steel that introduced super steels to the pocket knife scene. In today’s market, however, it is decidedly less competitive than when it first debuted. It takes a good edge, and holds it for a long time, but, because it is fairly hard at 60HRC, it can chip out if abused, and can be a fickle mistress when you take it to the stones for sharpening. Chris Reeve, who worked to develop the steel in the first place, ran it a little softer at 57-58HRC to counteract this, and I think that Spyderco, if it continues to offer the PM2 in S30V, would do well to follow his example. In short, if the idea of S30V chipping out bothers you, or if you are a poor sharpener, there are plenty of other options out there, if you are willing to spend a little extra. Spyderco pocket knives, because of their opening hole, tend to be a little wider in the pocket than other knives. While the PM2 is a little wide, it is not as bad as it could be; Spyderco moved that opening hole as close to the handle as possible to minimize the space it occupies in your pocket and, as has been observed elsewhere, the PM2 doesn’t feel much different than a Delica 4 in the pocket; what this means is that you’re getting more blade length and a better handle and sacrificing nothing in carry. And in a brilliant touch, Spyderco nested the steel liners instead of just layering the G10 on top of them, making the knife very thin, thinner than a Griptilian (a notoriously chubby knife) by a wide margin, pun intended. There’s a basic test I use when I test the pocketability of a knife: I reach into my pocket to get my keys, and if my hand doesn’t brush up against the knife, then it passes; surprisingly for a knife of its size, the PM2 passed: it is as phenomenal a knife in the pocket as it is in the hand. The PM2 is one of a handful of Spyderco knives that utilizes their proprietary Compression Lock. The easiest way to think about the Compression Lock, at least visually, is as a liner lock on the back of the knife instead of the front. Functionally they couldn’t be more different. A thick leaf of steel wedges between the blade tang and a stout stop pin to keep the blade in place, whereas in a liner lock the leaf and the pin do not contact each other at all. It is this difference that gives the Compression Lock much more strength than a liner lock; the force is distributed differently, and the wear on the leaf is much less. It easily outstrips the lockback of the Delica 4 in terms of robustness: a lockback will develop a little play over time, but the Compression Lock won’t. The Axis Lock, the proprietary lock on the Griptilian, is strong, and like the Compression lock keeps your fingers out of the blade channel when you are disengaging it, but its reliance on springs to function means that it has more moving parts, which, of course, means that there are more things that can go wrong; I’ve never had an Axis Lock fail on me, but I worry much more about that then the Compression Lock giving out. We can talk theory all day, but the bottom line is this: I’ve used my PM2 hard for 2 years, and the lock hasn’t budged an inch. 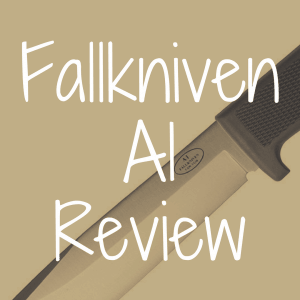 This review can only reiterate what the knife world at large already knows: that the Paramilitary 2 is one of the very best knives available today. Although initially marketed as an outdoor or survival knife, its mid-range size, excellent handle, good steel, and sublime carry made it a favorite with anyone just looking for an all-around phenomenal tool. Sometimes a knife doesn’t live up to the hype it generates upon its release, but that isn’t the case here: the Paramilitary 2, five years after it was first released, continues to amaze and delight. Spyderco’s CQI process has resulted in a knife that impresses in every area. So the next time you see one available, I strongly encourage you to buy it; you’ll have a tool that will serve you well for a lifetime. 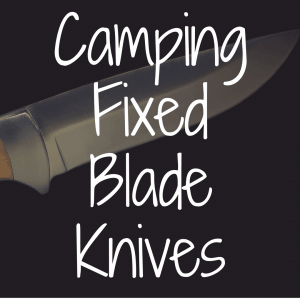 What’s the Best Assisted Opening Knife? 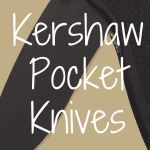 What’s the Best Kershaw Pocket Knife? 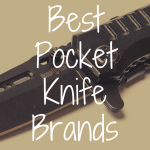 What is the Best Pocket Knife Brand? 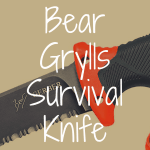 What Ultimate Survival Knife by Bear Grylls is Best?